The tools never replace common sense or sound professional judgment. Most prosecutors will tell you they are comfortable assessing the risk of someone who shoots or sexually assaults a victim. The reality is that the majority of our caseloads have a unifying theme--bad behavior and decisions by people under a varying combination of drugs, alcohol, mental illness and short-term risky decision-making. As a colleague from the State Public Defender’s Office aptly stated, there often seem to be only two kinds of offenders-- those who scare us and those who habitually irritate us. Incapacitation (jail or prison) is appropriate for the first. But what works best in the second category? Wisconsin has compelling evidence to show that early intervention designed to modify risk works. 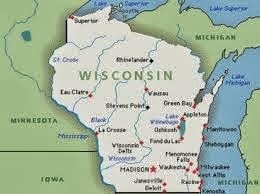 For the last six years, eight Wisconsin counties have been awarded funding to implement Treatment Alternatives and Diversion programs. A rigorous review of the effectiveness of the programs has shown dramatic reduction in new offenses and significant cost saving to the justice system. The future challenge is to effectively combine the advances in risk assessment with the application of proven intervention resources. When I first ran for public office, I made the commitment that I would try to develop a system that reduced violent crime while at the same time reducing the number of people in our jails and prison. With limited resources, I felt we had an obligation to address problems with the express commitment to solve the problems in collaboration with community and system partners, including pretrial service professionals, police, the defense bar, courts and corrections. Community Justice Coordinating Councils at both the state and local level help effect this strategy, as does an open willingness to work with experts from around the country who can provide the technical skills to do things the right way. I believe we are making substantial progress in that direction. Violent crime is down, our jail and prison populations are trending down, and we are making the case for expansion of early intervention as a critical public safety strategy. We have lots of challenges ahead, but good faith commitment to improving public safety through intelligent collaboration is the foundation of progress.